Create the coolest-looking website with 63 fine quality web design resources for a LIFETIME. Go beyond the codes to create incredible websites. Download Now! A Sneak - Peak Inside The Fundamental Web Design Bundle! Delivered as an instant digital download once the order is placed. This purchase of the Fundamental Web Design Resources includes a commercial license. Reselling and redistributing of these resources is not allowed. 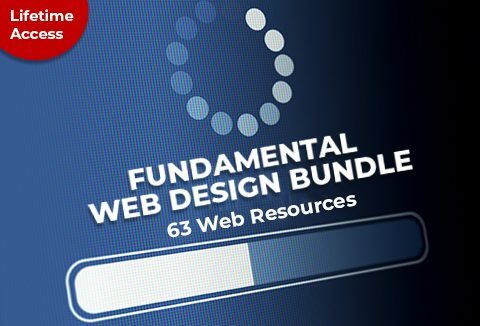 A web design resources bundle you've been always looking. For A Lifetime At A Deal Price Of $21 Only!